Swinging from the treetops and into your arms, this chimp is ready to "monkey" around with your heart! 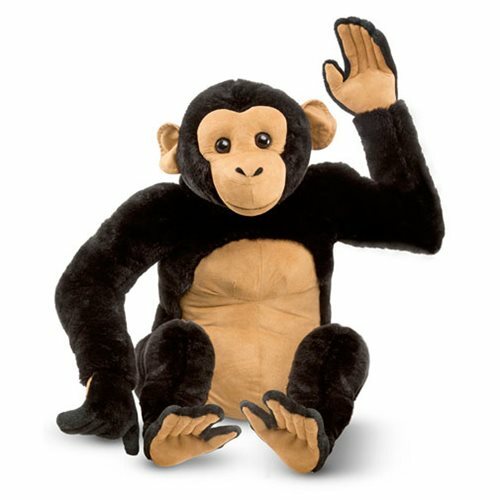 This lifelike chimpanzee features excellent quality construction and special attention to detail. It has a charming expression and long, loving arms for lots of hugs. Measures about 19-inches tall x 16-inches wide x 17-inches long. Ages 3 and up.